Back in late July, an energized and eclectic group of 22 Australian producers stepped off a plane in Dallas, Texas, to embark on a 3,500-plus mile, three-week learning journey across the United States. Known as the “Aussie graziers,” the group was comprised of students of the KLR Marketing School, a class that teaches the livestock marketing principles developed by the late Bud Williams. Ranging in age from 11 to 69, the students came from small farms and large cattle stations alike, as well as sheep outfits. In addition, a livestock veterinarian and the 2016 champion of the Mongol Derby, a 1,000-kilometer race across the Mongolian steppe on semi-wild horses, were also among the party. Led by Grahame Rees, KLR Marketing co-founder, the group visited 17 ranches and attended the International Bud Summit in Springfield, Mo., over the course of their multi-week trip. Rees organized the tour to give his students the opportunity to learn from progressive farmers and ranchers using regenerative agriculture principles, as well as Bud Williams’ stockmanship and livestock marketing methods in the United States. An interesting fact that Rees pointed out about the Aussie graziers on the trip is nearly 75 percent were experiencing drought to some degree on their own operations back in Australia. “While a lot of farmers are sitting back taking government subsidies to get through the drought, this group decided to go on a learning tour instead,” Rees said. 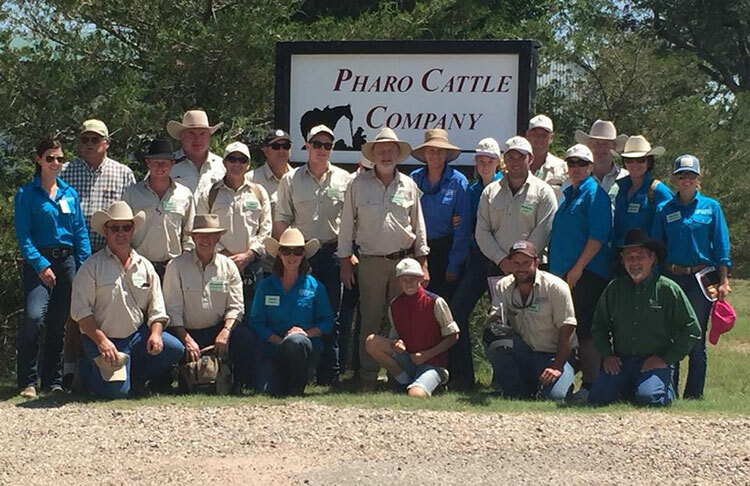 Among some of the ranches that the group visited were Pharo Cattle Company in Burlington, Colo., the Padlock Ranch near Sheridan, Wyo., and Sieben Live Stock Company just north of Helena, Mont. Called the “trip of a lifetime” by many who traveled on the tour, the experience proved valuable through many of the stories and lessons learned that members shared. Bronson recalled some valuable insights she learned from Oklahoma-based regenerative agriculture proponent, Walt Davis, on the detriments of tillage to soil biology. 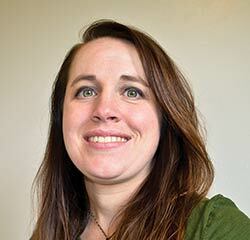 In her recount, Davis said with just one pass of a plow, 10 to 12 years of pasture improvements can be undone, and more importantly, mycorrhizal fungi communities are severely damaged in the process. Instead, Davis recommended producers’ focus should be to work with nature to preserve and continue to improve soil health. Matthew Doyle of Yass, New South Wales, pointed to his time spent with Gail Fuller and Michael Thompson in Kansas learning about multispecies cover cropping as a key learning experience. From his time spent on their operations, Doyle recalled that Fuller was able to boost his soil organic matter from 2 percent in 1997 to 7 percent in 2011 through the use of multispecies cover crops. Currently in the process of moving to a more perennial cover crop system, Fuller’s soil water infiltration has also improved from a 1/2-inch per hour to 6 inches per hour over time. Thompson’s operation saw similar results including a reduction in necessary inputs and improved profit potential. Perhaps the most powerful experience of the tour, however, was the group’s stop at Sieben Live Stock Company in Adel, Mont. Many of the participants recounted how inspirational their visit to this ranch was, and more importantly, meeting ranch manager, Cooper Hibbard. Katie Collins of Wagga Wagga, New South Wales, agreed, noting Hibbard was the perfect illustration of the passionate nature of those they met involved in regenerative agriculture on their trip. “I know we all appreciated his strength and vulnerability in sharing so openly with us of his personal journey,” said Collins. From examples of multispecies cover cropping to calving in spring and not in winter, to moving stock regularly (not using a set stocking rate), and increasing soil cover, this thesis reigned true. Livestock veterinarian, Jo Ward, from western Victoria, agreed, noting that the entire experience was well worth the time and expense. Connect with the Aussie graziers and learn more about their journey in their Facebook group: www.facebook.com/groups/USARanchTour/. This article appeared in the November 2018 issue of Grower on page 28.